The story of Abraham's acceptance of God's command to sacrifice his son Isaac is one of the most disturbing of all biblical stories. Isaac is spared only at the last moment, when an angel stops Abraham's hand. Theologians and scholars have wrestled with the question of why God asked Abraham to kill his beloved son, why Abraham acquiesced, and why in some interpretations he actually killed his son. 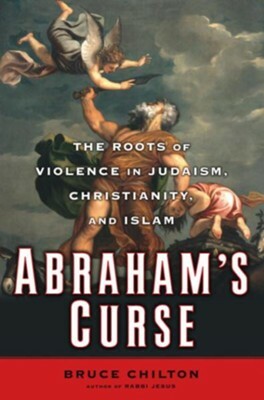 In Abraham's Curse, Bruce Chilton traces the impact of the story of Abraham and Isaac on the beliefs and teachings of Judaism (where Abraham is regarded as the forefather of Israel), Islam (where he provides the role model for Muhammad), and Christianity (where he is the ancestor of King David, whose lineage culminates in Jesus). As Chilton examines the story's significance, he makes the case that, far from only reflecting the violence of an ancient, unenlightened time, the sacrifice of children in the name of religion is still a fundamental part of our lives and culture -- from Islamist suicide bombings to militant Zionism and graphic glorifications of the Crucifixion of Christ. by miraculous means." These interpretations appear to underwrite violence, but Chilton also finds within Jewish, Christian and Islamic sacred texts a corrective: a clear insistence that God does not want human beings to sacrifice ourselves or our children. Today's violent fundamentalists, Chilton claims, overlook those correctives and take their cues from readings of Genesis 22 that seem to favor human sacrifice. Chilton produces yet another creative and very relevant historical account. (Feb. 19) Copyright 2008 Reed Business Information. I'm the author/artist and I want to review Abraham's Curse: The Roots of Violence in Judaism, Christianity, and Islam - eBook.